I know I haven't written for a while, sorry about that. Funnily enough even now my OU exam is over I still haven't got enough time in a day to do everything and writing a blog has fallen to the bottom of the pile. I get about three hours a day useful energy - and then I start making silly mistakes on the computer or find myself reading the same page several times as nothing is going in! I can do domestic duties outside that time, and watch a film or go for a walk, but three hours is really my limit for tasks that require concentration and thought. 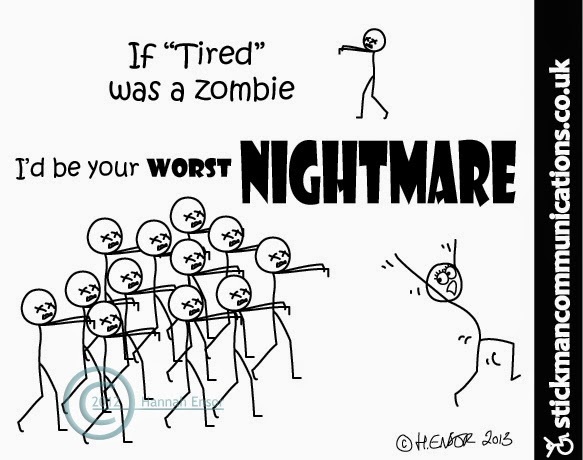 Even walking can be a problem outside of that limited energy zone and then I have to take the OH along to lean on! Last week I woke early one morning and decided it was time I ventured out of Cudworth to the next village along, Grimethorpe. I had been told there were War Memorial Gravestones in the cemetery and I knew there was a War Memorial in a Working Men's Club there. But I was a bit wary about going into a Club by myself, so a visit there was not part of my plan. I had been given a list of the gravestones I needed to photograph by a wonderful elderly gentleman GT, who has been researching the Fallen of Grimethorpe for several years now. Many of the War Memorials in Barnsley have already been researched or are in the process of being studied - the Barnsley War Memorials Project does not want to steal any of the credit for this research - we just want to act as a co-ordinating hub so that everyone can share their research with other people and so that anyone interested in finding out about a soldier from Barnsley can use us as their first point of contact. You can see an index to the pictures I took here - I haven't had time to make the individual pages with the memorial inscriptions yet - it's on my ToDo list! After a vital visit to the Ladies in the Grimethorpe Health Centre - thank goodness that was there - public toilets are non-existent in Barnsley these days - I walked down to the Acorn Centre, which is Grimethorpe's Library. GT had told me about a useful book containing a list of the men not only on the War Memorial but also on the memorial in the Working Men's Club. Unfortunately the librarian on duty had no idea what I was talking about, but GT's description of the book's location was pretty spot on and I found it myself after about five minutes. I asked permission to photograph the front cover so I could publicise the book on our BWMP website. The librarian was unaware of War Memorials as a 'thing'. She actually said, "Oh, well, there are only two in Barnsley aren't there? There's one in Dodworth I know of ...". Oh, dear. It seems we need to do a lot more to make people aware of these interesting and historic monuments. She and the young man with her were more helpful when it came to directions to the Working Men's Club though - as by now I'd decided that I should make the most of my trip to Grimethorpe before I ran out of zing for the day. Although it was quite early, about 11am, the door of the Club was open so I ventured in - and I am so glad I did. The steward was very happy for me to go upstairs and take a photo of the First World War Roll of Honour - which is really impressive - and when I came back down he surprised me by saying that he knew who I was! It seems he has read some of this blog! I have written a post about a surname in his family trees, so he came across it while searching the web. Then he showed me into another room where there was a framed WW2 Roll of Honour - I hadn't even known about this one! My grateful thanks for his enthusiasm and assistance - I wish I'd thought to take his name so I could thank him properly, sorry about that. 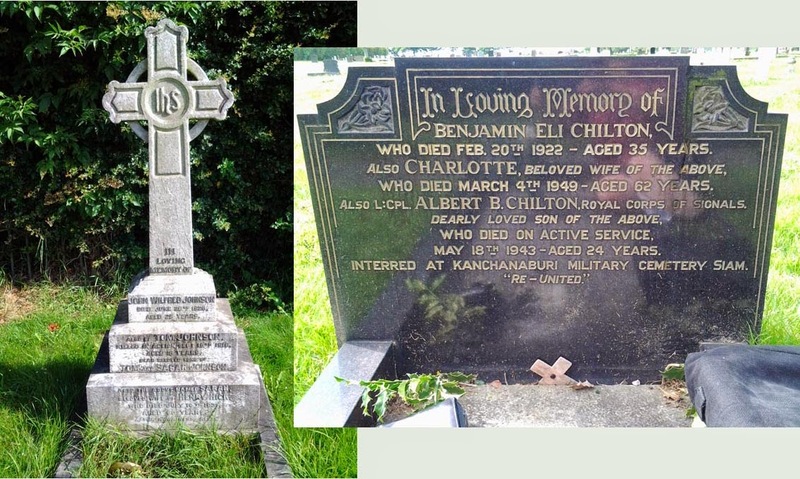 But apparently he (or his wife) is, as are so many other people in Barnsley, related in a very obscure way to the OH via the Brettonner name - so if he Googles it again he might find this page! That was enough excitement for one day (and this is nearly enough typing for one day too - you wouldn't believe the hash I'm making of typing this paragraph!) so I caught the bus back home. 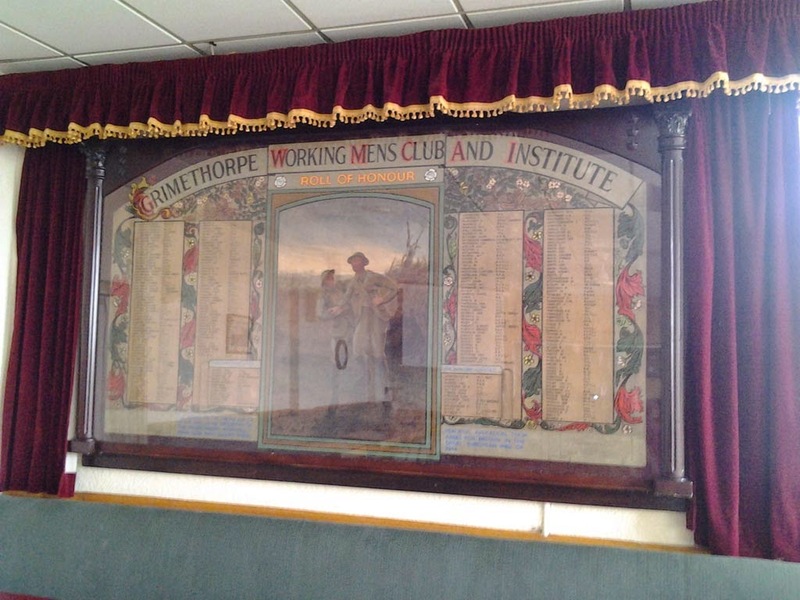 Today I made a return visit to Grimethorpe as GT had rung me to say that there was a Memorial window in St Luke's Church that I might be interested in. I was and so I got up early to make the church in time for the service at 10am. I'm not a church goer - to be honest I cry at weddings and carol services let alone funerals - but sat quietly at the back of the pews while the service was under way. It must be something about the feelings that other people's emotions evoke in me that does it because I was crying again by about half way through the short mass. Drat, how embarrassing! The window I had come to see was on the right hand side of the church, GT told me it had been moved by the previous priest from behind the altar. It now has a space of its own with a Book of Remembrance in a wood and glass case below it and a side table to hold the research that GT has done into the names on the War Memorial. I was especially touched to see that the dedication on the case for the book was to GT's wife who passed away in 1992 aged just 59. I'm crying again just telling you this. Sorry. 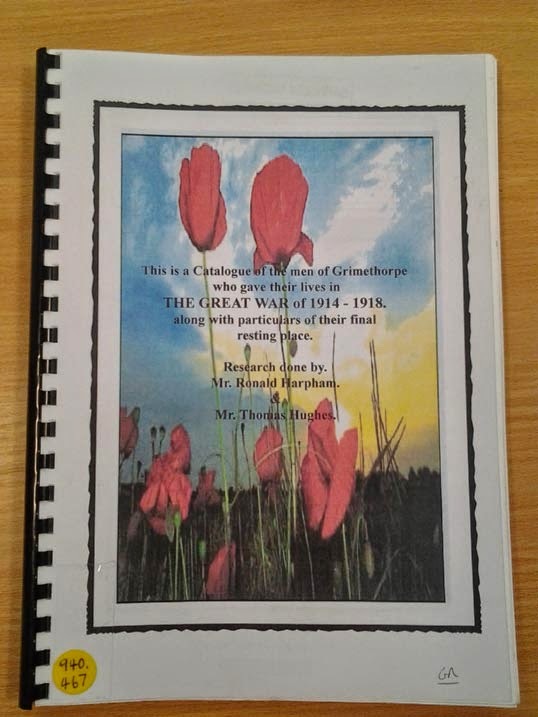 I took my photo (click on the link above to see it) of the Book of Remembrance with the page open to tomorrow 1 July as being the anniversary of the First Day of the Battle of the Somme I knew there would be more than one name on it. Sure enough there were six men's names - just think of that, six men from one mining village killed on just one day - and probably more who died of wounds in the days following. Remember too, that the Battle of the Somme lasted until November, with men 'going over the top' and being killed and wounded by shelling, on a regular basis throughout that period. Now I think I'll go and have a bit of a lie down before I have to think about making tea. I think I know how Grimethorpe's geography fits together a lot better after my two trips - well I have been living in Barnsley for over ten years now, so it was about time I made an effort!